Sea World Resort & Water Park is a hotel and water park with a theme park right next door. Enjoy a room with a harbor or ocean views, a SpongeBob-themed water playground, boat and Jet Ski rides, children’s activities and animal encounters. Dolphins and polar bears in the theme park delight mass audiences, but you can also interact individually with the sea animals. The park has a rescue program for injured and orphaned coastal creatures. One big bonus of staying in the resort is VIP seating at selected shows at the theme park. The Kids Club runs fun programs for the little ones, so parents have time to relax with a massage or try one of the water sports offered. Take a parasailing or jet-boat lesson, or rent a Jet Ski to get out on the Broadwater. A helicopter ride offers a bird’s-eye view of the coastal strip. If you’re keen to interact with seals and dolphins, pay to join the trainers underwater at Animal Adventures and watch them feed the sharks. At the Sea World theme park next door, throw yourself in the deep end on thrilling rides. Hop on the Jet Ski roller coaster and get whisked through rock pools and caves at speeds of up to 45 miles per hour (75 kilometers per hour). See the penguins, feed a sting ray, watch a dolphin or seal show – you can even watch polar bears swimming underwater. Sea World’s breeding program gives you a chance to meet baby dolphins in the Nursery Pool. At the Seabird Aviary, injured birds are rehabilitated for return to the wild. Sea World Resort & Water Park is located at Main Beach. 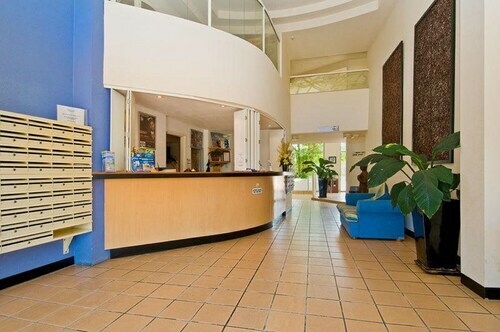 This resort is aimed at families, and the theme park caters mainly to children. You can get a package deal for both. Resort guests can enjoy unlimited use of the Water Park, and visitors to Sea World theme park can upgrade to include this venue. Be aware that it gets crowded during school holidays. The Sea World theme park is open every day except Christmas. Some animal interactions require you to pay extra. Buy a VIP Pass if you plan on visiting the three major parks: Movie World, Sea World and Wet'n'Wild. If you're seeking even more activities, check out our Main Beach things to do page. 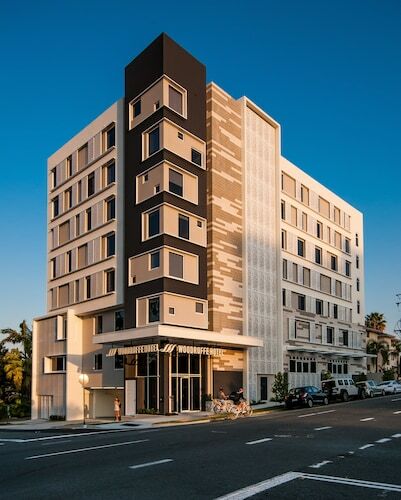 Located in the heart of Southport, this hotel is within a 15-minute walk of Australia Fair Shopping Centre and Broadwater Parklands. 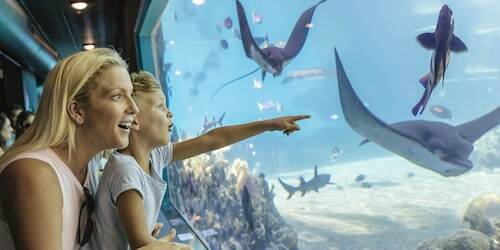 Gold Coast Aquatic Centre and Sea World are also within 3 mi (5 km). 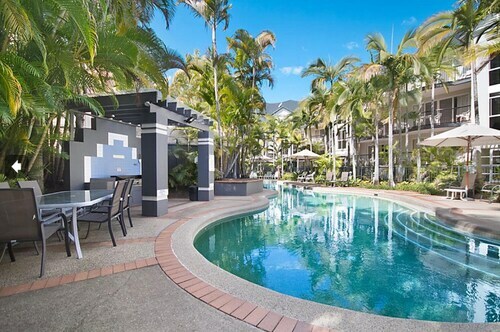 Situated in Southport, this apartment building is within a 15-minute walk of Gold Coast Aquatic Centre and Broadwater Parklands. Chevron Renaissance and Sea World are also within 3 mi (5 km). 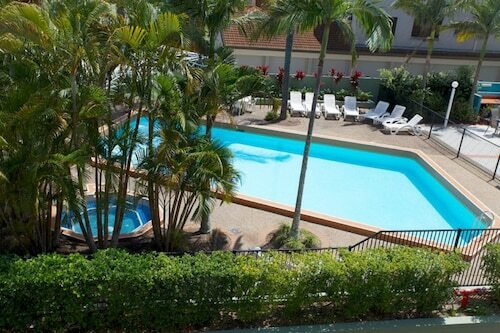 Situated on the waterfront, this apartment building is within a 10-minute walk of Gold Coast Aquatic Centre and Broadwater Parklands. Chevron Renaissance and Sea World are also within 3 mi (5 km). 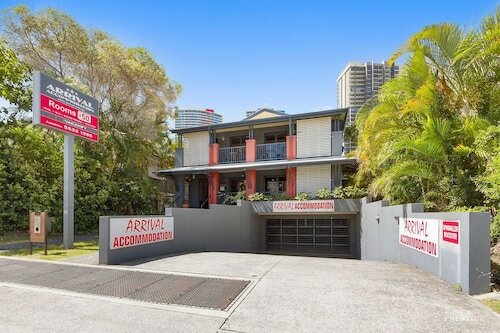 Situated in Southport, this bed & breakfast is within 3 mi (5 km) of Slingshot, Sea World, and Cavill Avenue. 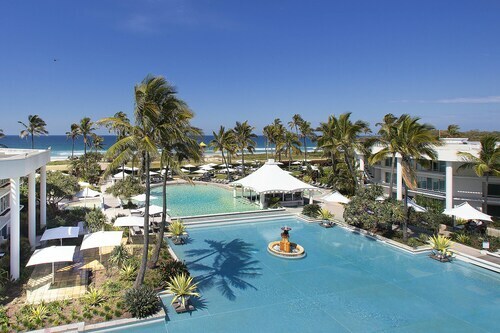 Ripley's Believe It or Not and Surfers Paradise Beach are also within 3 mi (5 km).